Aqua farmers Ramachandra Raju and Venu Dantuluri have developed mobile “Aqua App” to help farmers engaged in aqua culture enhance their yield and quality. With the use of this android and iOS app, farmers can locate the manufacturers of feed themselves. This rules out involvement of middleman in transactions and brings more transparency in the business. The app also provides detailed information about weather, new advancements in aqua culture and up-to-date market prices. 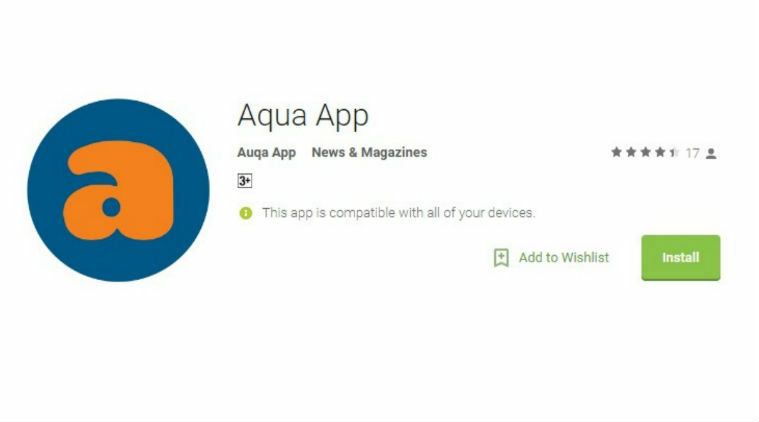 Founder Venu Dantuluri together with his seed investor Prakash Dantuluri has invested $100,000 in developing the “Aqua App”. The app is expected to benefit over 75,000 aqua farmers in Andhra Pradesh and elsewhere, the Hyderabad-based start-up said in a statement on Tuesday. It said 1,000 farmers have already downloaded the free app and were seeing its benefit. “The biggest advantage is that farmers can employ many measures to make gains, including improvement in standards of feed efficiency, gain direct access to top quality manufacturers, daily market prices, weather reports that can make big savings,” said Ramachandra Raju, President of Delta Fish Farmers Welfare Association. “The features of the app will include weather reports, prevailing market conditions, and price alerts of the aqua feed along with locations market as well as improve input cost efficiency that could yield big results,” said Venu Dantuluri. Andhra Pradesh’s fisheries market size is estimated at Rs 12,000 crore per annum and it is poised to grow 18 per cent year-on-year. Farmers spend Rs 1,600 crore per annum on medicines and feed additives. The state is ranked the first in total fish and prawn production in India with 270,000 acres in cultivation by 65,000 active farmers. The state government has set a target to reach the second position in the world in shrimp cultivation by 2020. Potential market size is estimated up to Rs 20,000 crore per annum.